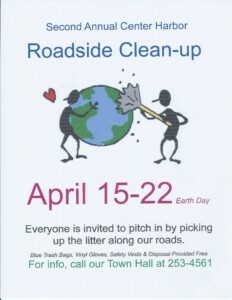 In celebration of Earth Day 2019, the Town of Center Harbor is organizing a week-long, town-wide, volunteer effort to clean up the trash that accumulated along our roads over the winter. Everyone in town is invited to pitch in along any road at any time. Help beautify the road on which you live, your own neighborhood or the Town green. 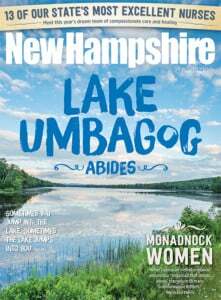 The Town of Center Harbor will provide blue trash bags, vinyl gloves and safety vests, all for free.